Poet-priest Malcolm Guite is Chaplain of Girton College, Cambridge, and teaches at the Faculty of Divinity at the University of Cambridge. He lectures widely in England and North America on Theology and Literature and has published poetry, theology, and literary criticism and has worked as a librettist. His books include: Love, Remember; Mariner, a spiritual biography of Samuel Taylor Coleridge; Parable and Paradox; The Singing Bowl; Sounding the Seasons; and Faith, Hope and Poetry. He has edited two poetry anthologies for Lent and Advent: The Word in the Wilderness and Waiting on the Word. He has a particular interest in the imagination as a truth-bearing faculty and continues to reflect deeply on how poetry can stimulate and re-awaken our prayer life. He enjoys sailing, walking, old books, live music, riding his Harley Davidson motorbike, and all the varieties of the British countryside and weather. He is also part of the rock band Mystery Train, regularly performing around Cambridgeshire. The Spiritual Practice of Lectio Divina, the slow close, meditative, and imaginatively engaged way of reading scripture can also bear very good fruit when we read great literature with an awakened mind and an open soul. In this seminar I will offer guidance and help with the close reading of three transformative texts, each of which is directed to the experience of renewed or transfigured vision. Coleridge wrote that the Literary Imagination, once awakened, could itself ‘Awaken the mind’s attention’ remove ‘the film of familiarity’ and direct us to loveliness and wonders in the world, for which at present ‘we have eyes that see not, ears that hear not, and hearts that nether feel not understand’. With this in mind we will read three short texts by great twentieth-century writers (Seamus Heaney, Edwin Muir, and RS Thomas) and show how they can quicken our imagination, renew our practice as Christian artists, and help us to have the vision we need to renew and deepen our hope in dark times. I hope that the way of reading, the kind of close attention to the text which we explore in this seminar will enable those who attend to return to their own reading and writing with a renewed method and perspective. 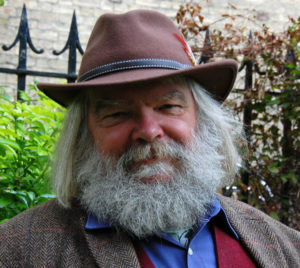 Apply for a scholarship to Malcolm Guite’s class here.